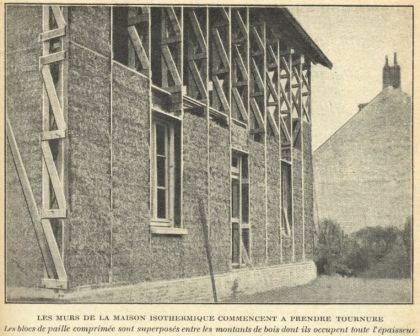 The ”Maison Feuillette” was built in 1921 by Feuillette, an engineer who was looking for solutions to construction problems. It has been for sale for one year. The house (still inhabited and perfectly preserved) is acknowledged globally as a unique, innovative and exemplary building. It features a timber frame structure with straw bale infill, modular construction, and the use of local materials. Despite certain features of its era (single glazing in particular), the house presents energy efficiency standards equivalent to the 2005 french ones! 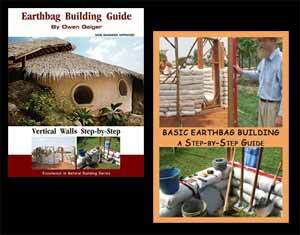 The French Straw Bale Building Network launched an international campaign to save the house. ”This building proves the durability of straw bale construction and it is a precious tool to give weight to recent straw bale construction building code”, the network says. 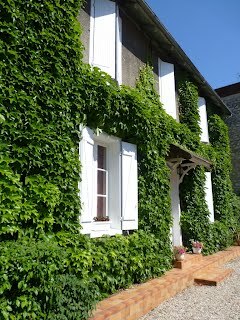 Ivy completely covers the house, but the plaster shows no sign of deterioration, proof of its durability. That second photo makes me question if John Larsen should get credit for inventing his namesake truss. Maybe it’s so simple that carpenters have been doing this for many years. You may very well be correct, but at the same time, the best ideas seem to consistently be the simple ones.